KAMPALA – The probe into the circumstances that led to the closure of Cooperative Bank has unearthed questions regarding the particular identity of the bank that was closed, after two groups of shareholders came up claiming ownership of the bank, with each sharing the same names. While appearing before the Committee on Commission Statutory Authorities and State Enterprises (COSASE) yesterday, Ivan Assimwe Secretary General Of Uganda Cooperative Alliance informed the Committee that at time when the Cooperative Bank was closed in 1999, there were two cooperative banks one created by cooperatives in 1964 and the other by individuals in 1997 and the cooperators aren’t aware of which Bank was closed by the Central bank. When the matter was further interrogated in Thursday meeting, Hannington Wasswa, Director Commercial Banks, Bank of Uganda informed the MPs that the bank that was wound up was the second Bank, bringing questions on the legality of the second Bank since the law bars the Registrar of Companies to license any company with the same names. 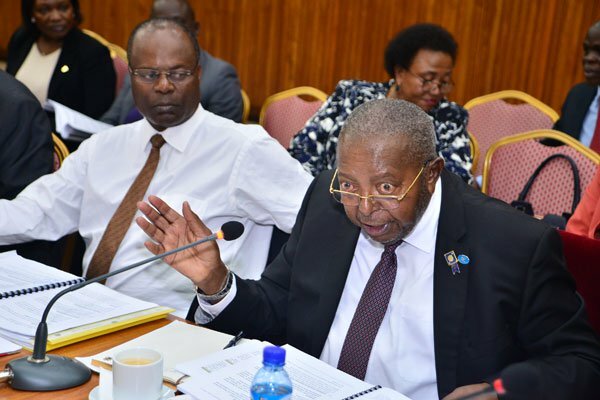 Wasswa told the Committee that the Cooperative Bank that was closed by Bank of Uganda the one that had shareholders as USAID, Cooperative Movement and had no mention of the Cooperators. Charles Owol, Secretary of Cooperative Bank informed the Committee that after the Bank started facing liquidation challenges, a decision was taken for government to acquire shares and USAID also promised to assist the Bank with a grant but demanded to have non-cooperators with funds to be brought on board. He also said that as the process to register Cooperative Bank Limited was taking place to have the assets of the initial Cooperative Bank transferred to the new owners, the Central Bank closed Cooperative Bank.